ISLAMABAD - The Pakistan Council of Research in Water Resources (PCRWR) has declared 27 bottled/mineral water brands unhealthy for drinking and has recommended the government to take action against the companies selling contaminated water in the name of mineral water. It is pertinent to mention here that due to lack of interest of government of Pakistan in providing clean drinking water to masses, use of bottled water has increased significantly in the country thus creating huge market for the mineral water companies. People to avoid drinking contaminated water by the authorities prefer to use mineral water but that too is risky as the government officials deputed to maintain check and balance on such bottled water companies are least concerned about masses' health. To monitor and improve the quality of bottled water, the government of Pakistan through Ministry of Science and Technology has designated the task to PCRWR for quarterly monitoring of bottled/mineral water brands and publicize the results. According to the monitoring report for the quarter April-June, 2013, eighty six samples of Mineral/Bottled water brands were collected from Islamabad, Rawalpindi, Lahore, Faisalabad, Sialkot, D.G Khan, D.I Khan, Multan, Bahawalpur, Tandojam, Karachi, Quetta, and Peshawar. Comparison of analytical findings with permissible limits of Pakistan Standard Quality Control Authority (PSQCA) has revealed that 27 brands that include Elixir, Natur Aqua, Aqua Safe, Best Nation, Al Sana, Oxigyzer, Lock, Pan Pura, Kalash Pure Water, Premier Pure Water, Safi Mineral Water, NN Welfare, Aqua Royal, Water Empire, Water Plus, Berg, Lite Wave, Oslo, Zindagi, Mathar, Best Water, Sea Breeze, Cool, Kallan Water, Aqua National, Active and Sunlay) are found to be unsafe due to chemical or microbiological contamination. �Out of those 27 unsafe brands 12 brands (Pan Pura, Kalash Water, Premier Pure Water, Cool, Kallan Water, Aqua National, Oxigyzer, Aqua Safe, Natur Aqua, Lock, Best Nation and Active) have comparatively high level of Arsenic ranging from 12-44 ppb than PSQCA Water Quality Standard for arsenic. The excessive level of arsenic can cause various types of skin diseases, diabetes, kidney diseases, hypertension, heart diseases birth defects, black foot diseases and multiple types of cancers etc. whereas 10 brands (Elixir, Safi Mineral Water, Sunlay, Aqua Royal, Water Empire, Berg, Lite Wave, Water Plus, Mathar and Sea Breeze) are found to be unsafe due to, microbiological contamination which may cause Cholera, Diarrhea, Dysentery, Hepatitis, Typhoid etc. The remaining brands were found unsafe due to the presence of higher levels of sodium, potassium or fluoride. 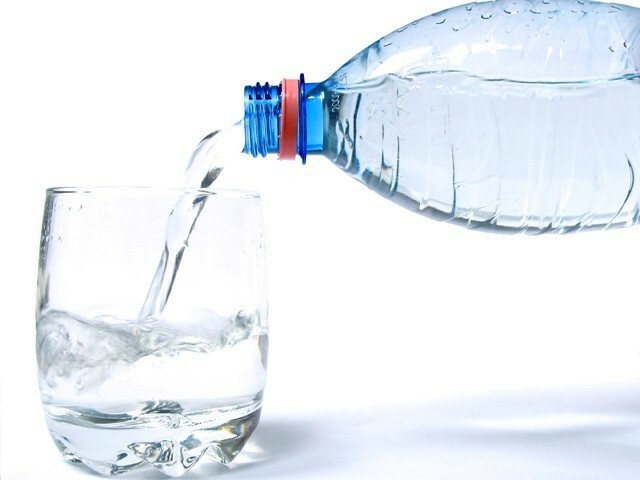 Council has recommended that National Quality Control/Surveillance Authorities should take legal actions against the companies, which are supplying contaminated bottled water to the public and playing havoc with the public health.